Originated from China, practiced for thousands of years. Acupuncture involves the insertion of very thin needles through the skin at specific points on the body to stimulate the body’s natural healing process. Acupuncture took precedence in the US in 1971 following the visit of President Nixon to China, after learning of a surgical procedure that took place with acupuncture instead of anesthesia. 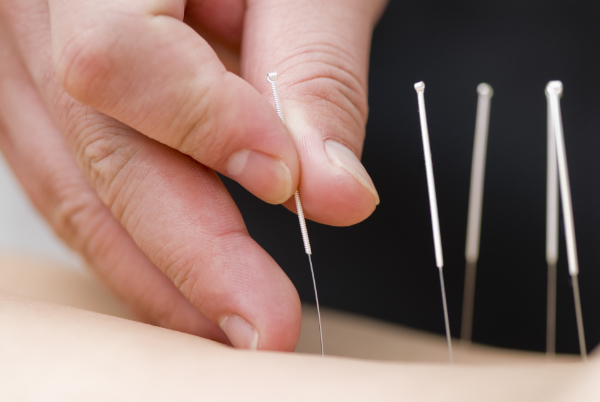 Acupuncture generally involves several treatments, depending on the concerns being treated. Each visit will involve an exam and assessment of the patients condition, followed by insertion of needles related to the condition. Generally, an acupuncture session can last 45—60 minutes. The patient will have the treatment either face-up or face-down. Single-use, disposable, sterile needles are used. Sensations of the needles vary, but has been described as dull, achy, tingling or numb sensations, which are normal. Special care is taken to not cause pain. The goal is to provide a comfortable and relaxed experience as possible. On occasion, the needles will be heated or stimulated by electricity after insertion. The needles will remain for 20-30 minutes. Traditional Chinese Medicine (TCM) explains that health is a result of a harmonious balance of the complementary extremes of Yin and Yang of the life force known as Qi (pronounced “chee”) or Chi. It is understood that Qi flows through meridians (pathways) in the human body, influencing 350 identified acupuncture points in the body. It is believed that when the life force (Qi) becomes trapped, acupuncture frees it, relieving pain, discomfort, or symptoms experienced. In other words, the imbalance of the flow of Qi will result in illness. As needles are inserted in points related to the imbalances, manifested through symptoms, tongue, pulse and more, the Qi will return to it’s proper flow, relieving obstructions in the flow of the channels and balance will be restored. What are the uses for acupuncture? Acupuncture has widely been known for its effects in reducing pain in a variety of conditions. As more research is performed, the use of acupuncture has been shown to benefit a myriad of conditions from weight loss to insomnia, relief of acute and chronic condition, high blood pressure, and much more. Below you will find a more detailed description of conditions that acupuncture can treat. Only available Fridays 12-4pm, please call or text office number to make an appointment. We take appointments every 30 minutes with the last appointment at 3:30pm.